...The Kingdoms of this world are become the Kingdoms of our Lord.... Amen. 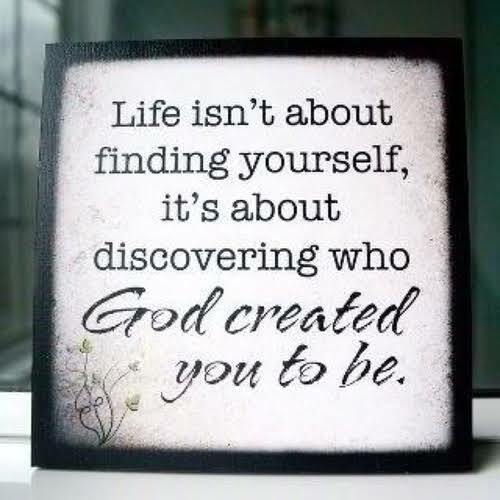 (Rev.11:15 KJV): CHINCOBEE:"Fulfilling God's purpose in Life"
Wow!! am indeed so blessed! Thank you very much Minister Gloria for the Wonderful undiluted word you have blessed our lives with! Indeed the message touches my heart. *Calvary greetings brethren. We thank God for giving us the grace to see this beautiful day. Being the last day in the month of November 2015 and I pray that our joy will be full in Jesus Name. (Amen). Thanks to Pastor Lucy for this wonderful platform, His Grace upon your life shall increase. The Theme of this program says "Walking Into my Divine Inheritance" and for this purpose, I will be talking on a topic that says "Fulfilling God's purpose in Life". Our bible passage for this glorious service will be taken from the book of Jeremiah 1 vs 1-5 and Ephesians 2:10. Fulfillment is an achievement of something desired or predicted‎. 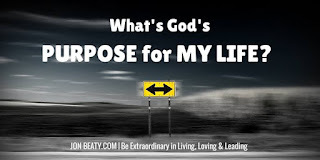 Let's look at what the bible says about the purpose of our life‎. Isaiah 43:7 says we are created to praise God, Worship God, proclaim his greatness and accomplish his will. Have we been doing this? For all he has done for us, he only ask for this. Should this be too much for us to do? Search yourselves today. Steps to take to fulfill your purpose. Under this outline, we will be looking at 5 steps. 1. You must decide for yourself what is worthy of your pursuit. No one should decide for you even though you receive counsels from others. In life we have two types of people that will come our way. The first is the person you have ability to help while the second is the person who has ability to help you. Have you helped anyone? Has anyone helped you? 2. Go to your source to understand your potential. This is the latent qualities/abilities that may be developed and leads to success or usefulness. You should however note that you will never achieve your purpose in life unless you become strategically motivated to pursue it.‎ Things just don't happen, you should make it happen. Lastly, it is important to understand we have an enemy (Satan) who also has a plan and purpose for us which is death/destruction; this will not be our portion in Jesus Name. John 10:10. However, note that prayer is a powerful way to interrupt Satan's plan. 1st Thessalonian 5:17 says "pray without ceasing". Our prayer life shouldn't be occasional, we should do it always just as God has commanded us. It should be as natural as breathing. 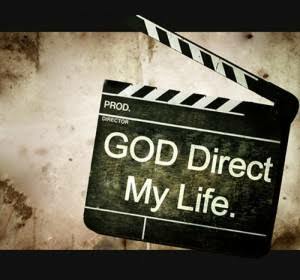 Fulfilling God's purpose in life leads and gives us direction to our divine inheritance with God.‎ The moment we are aware of God's plan and we are able to walk into it, it will definitely change everything concerning our life. 2nd peter 1:3-4..
Help me to fulfill your purpose in Life, in Jesus name. So I will be able to walk into my inheritance . Bolatito, Receive Grace to fulfill God's purpose in your life in Jesus' name, Amen! wow! chinco bee..love it all. Temitope, you can do all things through Christ. Receive Strength in Jesus' name, Amen! in the name of Jesus, I unveil anything blocking your view to see divine direction in Jesus' name, Amen! Oh Lord give me a divine direction and open my spiritual eyes to see the plans you have for me, so I may discover who YOU created me to be in Jesus name. Amen. Receive Great Revelation for Direction Miriam, in Jesus' name, Amen! Welcome Duncanholly to 2015 Bloggers' Conference! we appreciate your coming! Happy New Month and Merry Xmas in Advance! Oh Lord, guide and lead me to the right part, so that I will fulfil your purpose in my life and walk into my divine inheritance. Oh, I feel elated. God is so good. Be it unto you Pam in Jesus' name, Amen!